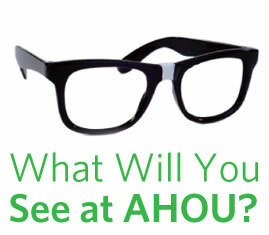 What will you see at AHOU? As everyone gears up to attend the AHOU conference in Phoenix, AZ this April, we wanted to give you some advance insight to what you will see from ExamOne. The AHOU 2013 Expo will be held on Sunday, April 7th from 4:00 to 6:00 pm and again on Monday, April 8th from 12:00 to 4:00 pm. Stop by the ExamOne booth and vote for your favorite “Geek”, play our interactive game and learn more about the industry firsts ExamOne is excited to bring you this year – including our Loyalty Program, QuestCheck and Mobile ID Slip. On Tuesday, April 9th from 2:00 to 3:00 pm, ExamOne’s Ammon Dixon will discuss laboratory scoring fundamentals. This session will provide some insight into the development and potential of laboratory scoring. We are looking forward to celebrating with our clients at our annual Customer Appreciation event being held at the Biltmore on Tuesday evening. Our celebration will include a special performance by the world renowned Irish-American band, The Elders!